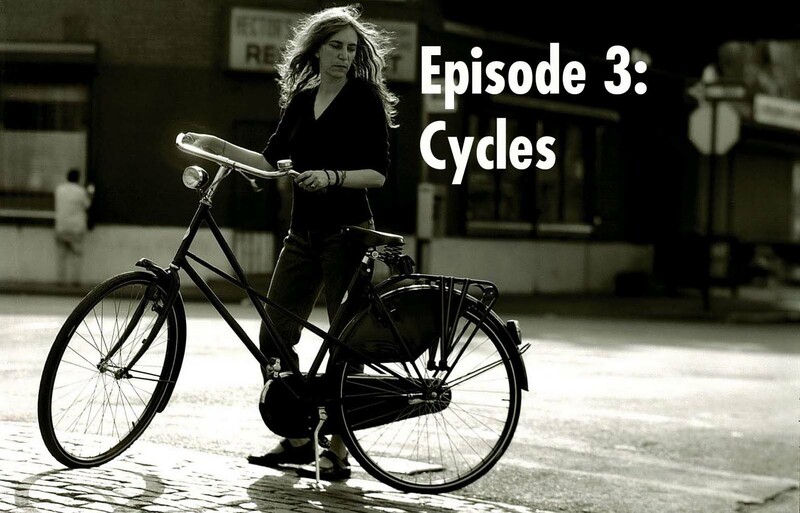 In this week’s episode of Follow Your Ears, we examine cycles. 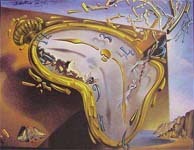 Are our lives and our culture locked within cycles? Are we aware of it? 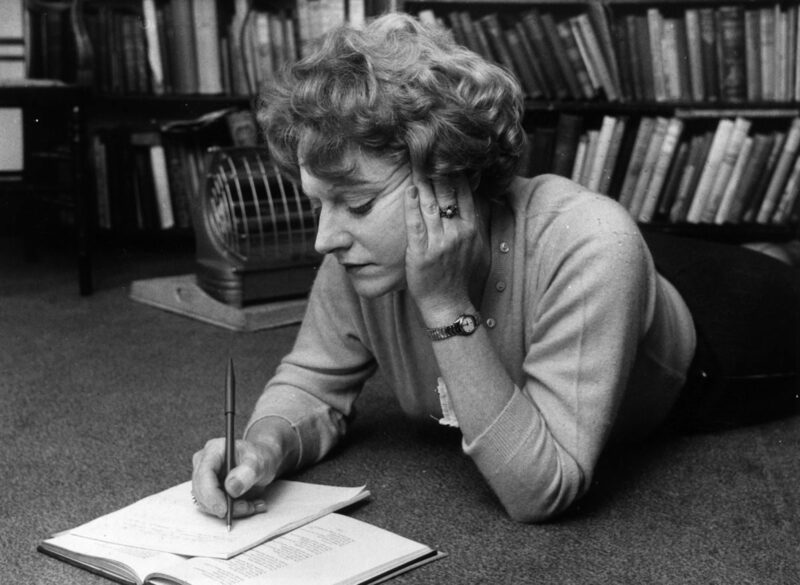 Is there a certain folly in paying too much attention? Our quest takes us to bike shop owners, Joyce enthusiasts, a conversation with Ian Rankin, and a remake of Raiders of the Lost Ark. This week, we examine cycles. Are our lives and our culture locked within cycles? Are we aware of it? Should we be aware of it? Or is there a certain folly in paying too much attention? Our quest for answers has us talking with bike shop owners and a Finnegans Wake reading group. We reveal how Raiders of the Lost Ark caused two teenage boys to become consumed by a relentless cycle of remaking the movie they loved with limited cinematic resources. 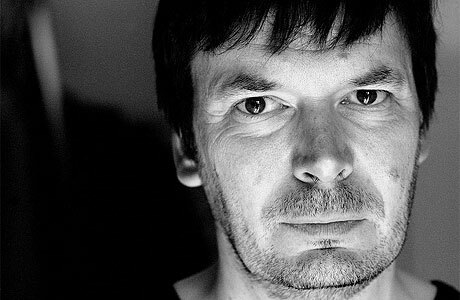 We also talk with Scottish novelist Ian Rankin about how he returned to Inspector Rebus and got caught up in cycles he couldn’t quite describe and Lesley Alderman, the author of The Book of Times, who shows us how being aware of time doesn’t necessarily preclude you from finding enticing new cycles of existence. Loops for this program were provided by Psychotropic Circle, DextDee, and HMNN. In which a former “Scottish Journalist of the Year” steals quotes from numerous sources without accreditation for 54% of his article. 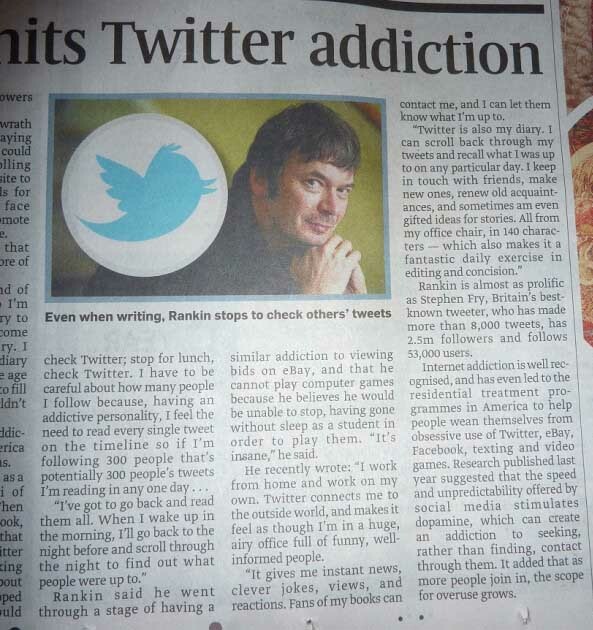 On April 24, 2011, the Scottish edition of The Sunday Times published “Rankin admits Twitter addiction” on page 21. It was written by Jason Allardyce, a 40-year-old who was named “Scottish Journalist of the Year” in 2003. His MySpace page states that he likes to go by the name “wolfspider” and that he is based out of Callander. 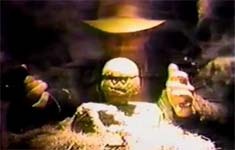 But “wolfspider” is a lonely man. He only has two friends on MySpace: the ever-popular Tom and MySpace UK. The Sunday Times? Murdoch’s newspaper? I told people on Twitter about what had happened and asked if anybody could send along the article. And a very friendly pescatarian vegetarian in Scotland going by the name of @SeymourSunshine located the article and photographed it for me. I transcribed the article. I was stunned to learn that 215 of the 758 words in Jason Allardyce’s article were taken directly and without attribution from my Bat Segundo interview with Ian Rankin. I emailed Alladyce and his editors. And then I discovered that I wasn’t the only one getting played by the wolfspider. An additional 126 words in Allardyce’s article were lifted wholesale and without attribution from two whole paragraphs that Rankin contributed to this Gaby Hinsliff compilation in The Observer from February 13, 2011. To add insult to injury, Allardyce plagiarized a third source, pilfering a good 74 words from this Lisa Zilberpriver piece from World News Australia (January 18, 2010). For all three original pieces that Allardyce has used, a copyright notice was clearly listed on each of the pages. In other words, Allardyce did not obtain a single original word from his subject for his article. He recently wrote: “I work from home and work on my own. Twitter connects me to the outside world, and makes it feel as though I’m in a huge, airy office full of funny, well-informed people. “It gives me instant news, clever jokes, views, and reactions. Fans of my books can contact me, and I can let them know what I’m up to. It may very well be a common practice for some UK journalists not to provide attribution. But when they don’t, they are clearly breaking the law. And they are exposing the newspapers and outlets that they write for to considerable legal liability. But more important than such legal propriety, it’s just plain rude and antithetical to the spirit of human togetherness. But Allardyce’s failure to credit any of his original sources extends far beyond the prospect of fair dealing and fair use. His disingenuous usage could be interpreted as an intent to deceive. Let’s approach the question form a practical position. Why is attribution important? Well, take this UPI report from September 5, 2010. The UPI quotes Cardinal Keith O’Brien: “Our detailed research into BBC news coverage of Christianity in general and Catholicism in particular, together with a systematic analysis of output from the Catholic church, has revealed a consistent anti-Christian institutional bias.” That’s an extraordinary statement. If you’re at all interested in the many opinions, you’ll want to know where it comes from. And the UPI, because it is a responsible service, notes in its article that The Sunday Telegraph first reported the Cardinal O’Brien quote. Jason Allardyce, on the other hand, doesn’t make such a distinction when he produces the same quote in his article, and he doesn’t attribute The Telegraph. This causes the Richard Dawkins Foundation (where I found Allardyce’s article, now conveniently hiding behind a paywall) to believe that Allardyce is conducting original reporting. This also causes confusion for the BBC, which erroneously reports that Cardinal O’Brien said these words “in an interview with the Sunday Times.” So Allardyce and The Sunday Times gets credit for a quote that they cut and pasted from another newspaper. Now let’s say that, several years from now, a historian is looking into biases against religion (or the mythical claims of biases) during the early 21st century. The historian will want to go straight to the original source so that she can ensure that the quote and the context is accurate. But if she has to wade through Allardyce’s misleading attribution, this is going to cause needless work for the historian. Allardyce’s misleading attribution also creates the false impression that the Sunday Times was the central place for that news story. And because Allardyce has published his “article” in a prominent newspaper, with anyone who reads the article believing that the interview comes from him, there’s very little that I can do to get proper credit or compensation. It’s impossible for me to be entirely objective in this report. I am doing the best that I can to keep a level head. Still, in an age where Arianna Huffington insists that it’s “wrong and offensive to insist that HuffPost is exploiting journalists,” the time has come to stand up against anyone who believes that they can get away from stealing anybody’s labor. If ostensible professionals feel that they are above the law and above the decency of community, then what’s the purpose of their collective existence?